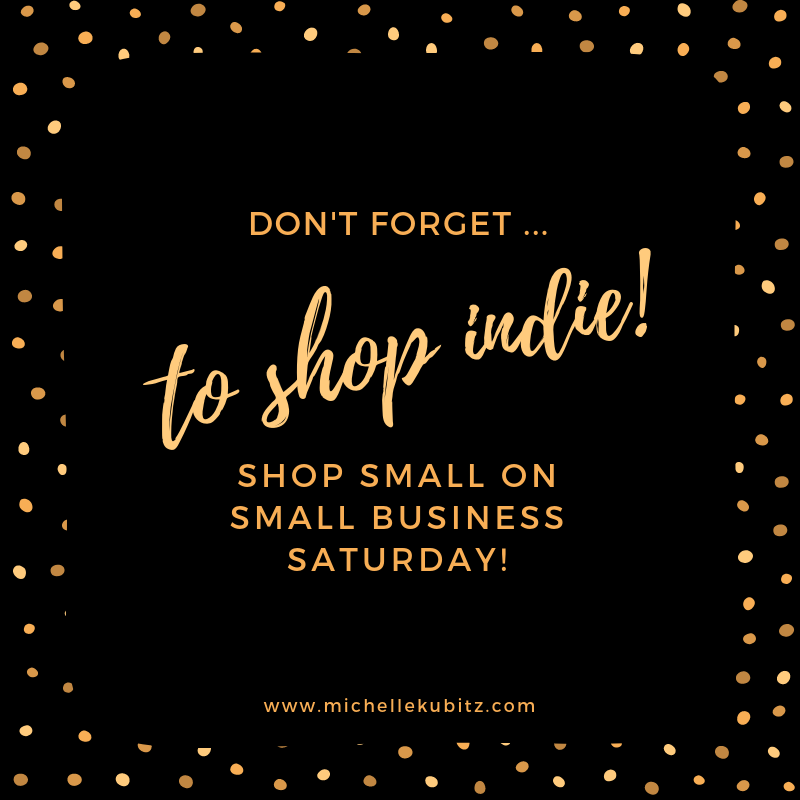 Small Business Saturday! Shop Indie! OK – so I’m going to be the first person to fess up to an Amazon Prime account. (True confession: I order my household toilet paper in bulk. Which is great unless you forget to cancel an order. Let’s just say that if Armageddon comes in the near future, my family has enough TP to get us through to the next century.) I’m also known to frequent a certain store that features a red bullseye as its brand and am no stranger to the general siren song of big box stores and online services that make my life easier. HOWEVER … I am a freak for independent bookstores and try very mightily to support local artisans. And with the winter holidays coming up, it’s a no-brainer for me to get some of my gifts locally and support independent business owners. There’s a meme that’s circulating on Facebook that basically points out that the majority of dollars you spend at local businesses go directly back into the local economy – the money we spend at indie shops is meaningful. Looking for a local / independent bookstore to support? IndieBound has a search engine. Go to holiday craft fairs and support the artisans there. Some cities (like the Twin Cities) have “buy local” directories. As for me, there’s a certain family-owned business in the heartland of Northeast Iowa. It’s where I buy soap and lotion (and the matriarch makes some of the best homemade candy and pies you’ll ever sample.) And they are on Etsy. The sky’s the limit, friends!